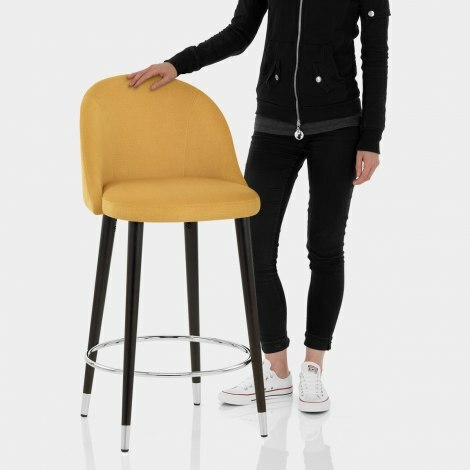 A sophisticated addition to your kitchen or bar area, the Polo Bar Stool Mustard Fabric is a must-have. Combining contrasting elements to create one eye-catching piece, the Polo is a unique design with practical and fashionable attributes. Comfortably cushioned, the mustard fabric seat exudes both style and luxury. 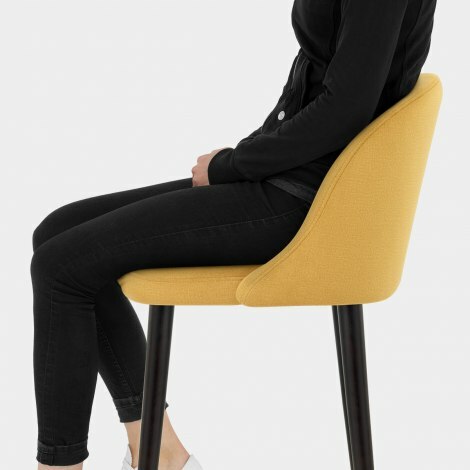 The curvaceous high backrest complements the rounded seat with subtle stitch detail and offers excellent support. Crafted at the ideal height for the kitchen worktop, the solid wooden legs have a dark wenge finish for a modern update. They are then capped with chrome tips and braced by a round chrome footrest to add chic style. Protective floor pads are a final practical addition with the ability to be adjusted for uneven floors.